Today we are blessed to hear from the Reverend Shavon Starling-Louis in the “Our New Day Begun” series. 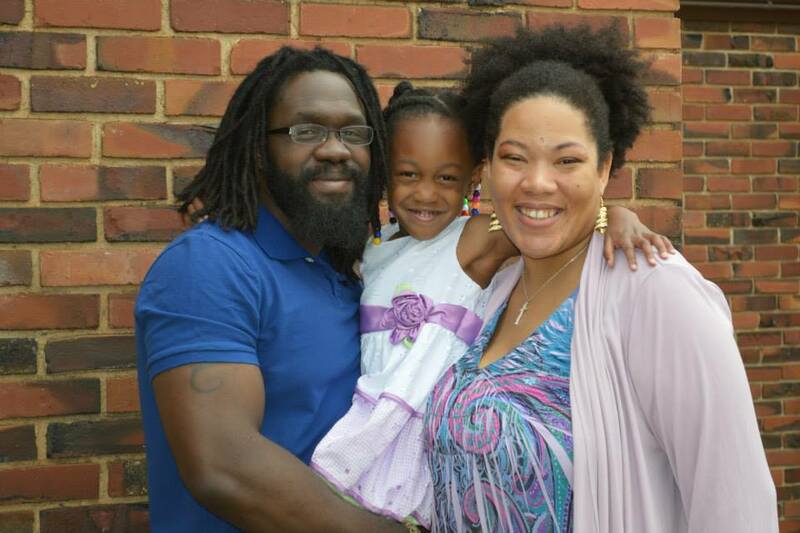 Shavon is a 32-year-old Teaching Elder in the Presbytery of Southern New England and is originally from St. Petersburg, Florida. 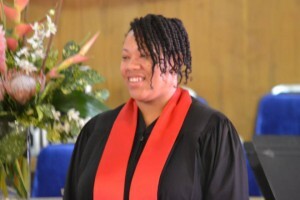 She’s a graduate of Columbia Theological Seminary and serves as the Co-Pastor of Providence Presbyterian Church in Providence, Rhode Island. Shavon is brilliant, insightful, and has been instrumental in the success of this series behind the scenes. Meet her and be blessed! Are you a “cradle Presbyterian,” or did you come to the tradition later in life? Nope, I am not a cradle presby! I was born into a Missionary Baptist Church family; however in middle school there was passing of the beloved pastor of that congregation. My disabled grandmother who raised me started receiving pastoral care from a cousin’s Presbyterian pastor. When my grandmother became strong enough we began attending and soon after became members. I love that Presbyterians at our best are reformed and always reforming. We recognize that we live in the now and not yet reality of Christ’s Holy Kingdom; therefore we along with all of creation are works in progress. God is not done with any of us. I love that we lean into the grace of God for our hope and our identity, and I love that at our best, though our words and deeds we are people who engage reconciling ministry and justice-oriented mission. What about it do you think needs to be changed or addressed? I think we have a long way to go in helping our members know the power of telling their faith stories. We struggle in general with the ability to share how and where we have seen the Holy Spirit moving in our lives and in the lives of those in our midst. This makes for stifled and stunted spiritualties. I also think we have a ways to go in moving beyond the tokenism of underrepresented communities and particularly within leadership. I sense a true desire for the gifts of diverse people, but when it is done outside of authentic relationship it feels like paint by number or committee by numbers and undermines very thing that it was aiming to achieve. After working in the church in clerical positions both in the congregational and presbytery levels, God revealed that my gifts, my hopes, and my passions would be able to flourish in ministry. As simple as it sounds, I love Jesus Christ fiercely and I really love people. And so I really, really love to facilitate relationship between Christ and those seeking grow in relationship with Christ. And for the most part this means I am called to create sacred space in the common places so that we can sense the where God is calling us to pay attention and act. Describe your current call. What is your role? I am currently called to serve in 3 capacities. I am a co-Pastor at Providence Presbyterian Church in Rhode Island. (Only God could move a Florida girl to Rhode Island.) I am a full-time pastor leading in areas worship, spiritual formation and nurture, administration and vision, as well as shared responsibilities in pastoral care and mission. It’s great to be in a teamed ministry that represents the multicultural values of our congregation. (Shout out to Chris Foster!) This way I can focus my time on the areas of ministry that give me the greatest joy. I also serve the PCUSA on the National Committee of The Self-Development of People. This is an amazing ministry out of the Presbyterian Mission Agency that supports both financially and relationally organizations working with those in communities of poverty for self-advocacy. Lastly, I serve on the Executive Team of The NEXT Church Movement. It is an organization of clergy and laity committed to the PCUSA and who are excited to discern and share innovative ways of being church. We have Annual National Gatherings and local one to promote real support relationship for church leaders called to see around corners in uncertain times. What is the racial/ethnic composition of the church you serve? Providence Presbyterian Church is active church with a global perspective with immigrants from West Africa, Latin America, Middle East, Europe, and Asia as well as Americans with diverse ethnic and socio-economic backgrounds. I am reminded of Pentecost every worship. How do you think our denomination can best benefit/be enriched by the leadership of young African-Americans? I think that young African-Americans leaders in the PCUSA (and many others) by in-large were raised by the poetic and improvisational nature of hip-hop and R&B. I know that is the case for me. And while I would be uber excited to see breakdancing at my next presbytery meeting, I think the real gift we bring is the essence of hip-hop. It’s an essence that looks at the joyous and the grimy and speaks the truth it sees. Poets like J. Cole and Common, offer insights on what it means to stand for justice and truth in a time when doing is needed but not the most popular thing to do. Learning from Hip-hops natural ability to testify to our experience could be a blessing and enrichment to the denomination. It absolutely influences my preaching and my pastoral care. I also believe the denomination is finding itself in the squeezing place of being called to do more with less. This is a common experience of many African-American household again speaking from my own experience. (And while, yes there are complex systemic injustice issues that often time cause this situation.) There are beautiful gifts of having to work with what you have. There is the cultivation capacities to prioritize, to improvise, and to have faith in the providence of God that come out this. As a minority in our denomination, do you find you often encounter microaggressions? If so, what has been your approach to them when they happen? Yep… One of my pet peeves that is really a miccoaggression is the prevasiviseness of the Presbyterian self-naming as the Frozen Chosen because we don’t move in worship and we don’t say Amen. 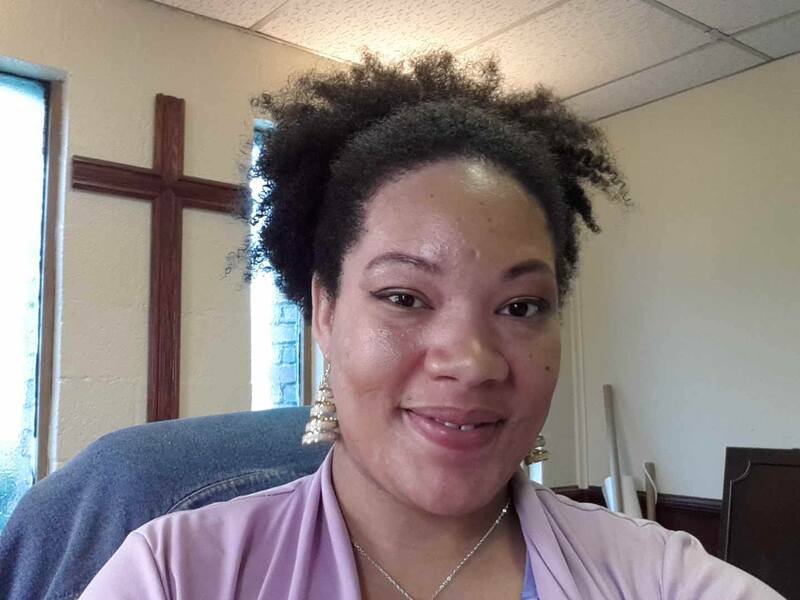 Well as an African American clergywoman in the Presbyterian Church who claps, moves, sways, dances, and says Amen when the Holy Spirit moves men to, I noticed that the moniker of Frozen Chosen left me, my culture, and my embodiment out and somehow meant that I wasn’t acting like a “True Presbyterian” by someone else’s definition. So in my former presbytery when such a comment was made by an older, white retired pastor, I said from the floor “I am not frozen, and I am Presbyterian, and I say Amen.” There was an awkward silence, but there was head shaking who got what I was saying. The gentleman just looked puzzled. Congrats Shavon. Keep moving and the Lord Almighty keep using you. I still remember your vigor and commitment while schooling together at CTS. God bless. Rev. Robert Ngugi, Kenya.